Safety improvements along Columbia Boulevard near McBride Elementary School are expected to be completed by 2022, thanks in part to grant funding recently received by the city of St. Helens. 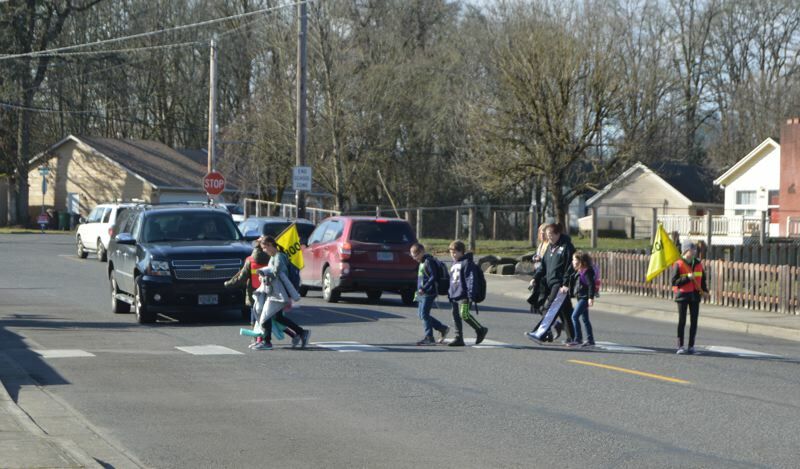 The city was recently selected to receive a $322,000 grant from the Oregon Department of Transportation through the Safe Routes to School Competitive Infrastructure Program. St. Helens' proposal was one of 24 projects selected throughout the state to receive a total $16 million in funding. ODOT received 112 applications for funding this year. Through the project, the city will construct 1,100 feet of sidewalk on Columbia Boulevard between Gable and Sykes Road, install a flashing beacon at an existing sidewalk on Columbia near McBride Elementary School, and create a raised pedestrian island at Columbia and Skyes roads, a press release from the city stated. St. Helens will match the grant with $80,634. The city was notified in mid-January it had been selected to receive the grant funding, and the St. Helens City Council approved a contract with the state this week which outlines the timeline for the project, a scope of work, and other details pertaining to the project. The principal of McBride Elementary School, Lisa Tyler, expressed excitement about the project on social media through a city of St. Helens Facebook post. During City Council discussions Wednesday, various council members and staff thanked Associate City Planner Jennifer Dimsho for helping apply for the grant funding.